Thanksgiving is a holiday that celebrates and shares with loved ones the blessings that we are fortunate to have in life, a lovely meal with friends and family and plenty of left overs. Unfortunately, not all of our South Florida residents can say the same. With the economy changes, and the ups and downs of everyday life, many families are having trouble having fulfilling and stimulating family gatherings for the holidays in the last few years. 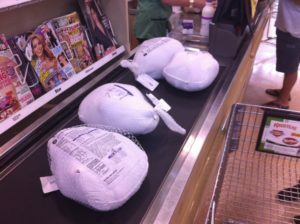 As a demonstration of their appreciation to the community, Yossi Ben Kessous, the founder of Big Boy Moving and storage was helping out those less fortunate families with a free turkey. 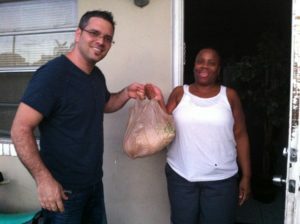 Big Boy Moving delivered free turkey to residents in need from the Ft. Lauderdale area. 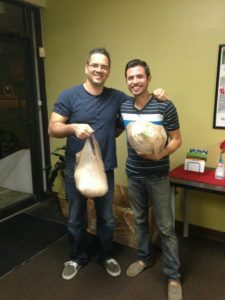 This Thanksgiving 2013, Big Boy Moving and Storage sharing their blessings with their community, one turkey at a time. For further information, please contact Big Boy Moving and Storage at 888-733-0968. 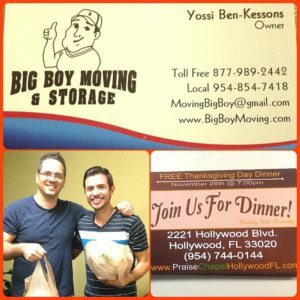 Big Boy Moving and Storage wishes everyone a blessed and happy Thanksgiving! 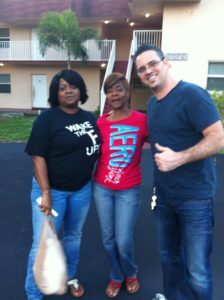 Moving company in south Florida. 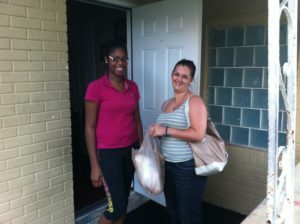 We proudly serving the south Florida area for over 10 years.